+ eight = 13 Required Please enter the correct value. Dow Jones Industrial Average News, 6/02/2016: It's another busy day of data releases and earnings reports as the Dow attempts to regain momentum heading into what could be an extremely wild June. While the pending decision by United Kingdom voters on whether to leave the European Union could have dire consequences, investors have other things to worry about. Today, keep an eye out for a key jobs report in the United States, updates from a crucial OPEC meeting in Vienna, and statements from European Central Bank President Mario Draghi. Here's today's top stock market news, stocks to watch, ways to profit, and economic calendar for June 2, 2016. First up, Dow Jones futures indicated a 27-point decline for Thursday after a lukewarm private sector jobs report for May. According to ADP, the U.S. economy created 173,000 private sector positions last month, slightly below consensus expectations. The data indicates that the service sector accounted for virtually every job created. It's a busy day of public statements from Members of the U.S. Federal Reserve as they prepare for a critical monetary policy meeting later this month. This morning, Fed Board Governor Daniel Tarullo said that the central bank will consider the decision by UK voters over the possible Brexit when exploring the timing of the next rate hike. Later today, both Federal Reserve Governor Jerome Powell and Dallas Fed President Rob Kaplan will speak. Currently, the odds of a rate hike in June sit at 20%, while the probability of a rate hike in July ticked downward to 48%, according to CME FedWatch. Ahead of the Brexit vote, the European Central Bank announced that it is holding its interest rate level in place. ECB Chair Mario Draghi will speak later this morning. He is expected to comment on the possibility of the Brexit and its potential impact on the European economy. Today, the Organization of the Petroleum Exporting Countries (OPEC) meet in Vienna to debate its oil output policy. Traders are keeping a close eye one whether OPEC plans to alter its global output levels. 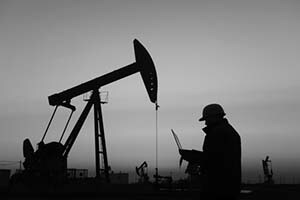 The cartel currently pumps a near-record 32.7 million barrels per day, according to the International Energy Agency. The cartel hasn't changed its production targets since 2008. The stakes are raised for a showdown between Saudi Arabia – which wants greater collusion on a production cap – and Iran – which wants to increase its own personal production. Crude oil prices were mixed ahead of the OPEC meeting. WTI oil prices slipped 0.1%, while Brent crude prices added 0.1% this morning. On the earnings front, shares of mining equipment maker Joy Global Inc. (NYSE: JOY) were on the move this morning after the company surprised Wall Street by reporting a gain this earnings season. The company beat Wall Street expectations, reporting earnings per share (EPS) of $0.09 against consensus expectations of a flat quarter. The report was a surprise given that Joy Global receives roughly 60% of its business from coal mining firms, which have been under extreme pressure due to regulatory changes and competitive pressures from fuels like natural gas. The deals just keep coming. Johnson & Johnson (NYSE: JNJ) announced it will purchase private hair-care giant Vogue International in an all-cash deal worth roughly $3.3 billion. The firm is looking to gain market share and increase its product offerings. Shares of Oracle Corp. (NYSE: ORCL) are sliding this morning after a lawsuit against the technology company went public. According to reports, a former financial manager has filed a lawsuit arguing that the software giant retaliated against her for whistleblowing on the accounting practices of its cloud business. Investors are expecting an investigation at some level in the near future. Shares of Alibaba Group Holding Ltd. (NYSE: BABA) are still sliding in pre-market hours after yesterday's announcement by Japanese investment firm SoftBank that it would be cutting its stake in the Chinese e-commerce giant. BABA stock fell more than 6.4% on Wednesday. Despite the short-term blip for BABA, we're still very bullish on the stock, and you should be too. Here's why. Look for additional earnings reports from Ambarella Inc. (Nasdaq: AMBA), Broadcom Ltd. (Nasdaq: AVGO), Cienna Corp. (Nasdaq: CIEN), and Five Below Inc. (Nasdaq: FIVE). Federal Reserve Board Gov. Jerome Powell speaks at 8:35 a.m.
Dallas Fed Bank President Robert Kaplan speaks at 1 p.m.